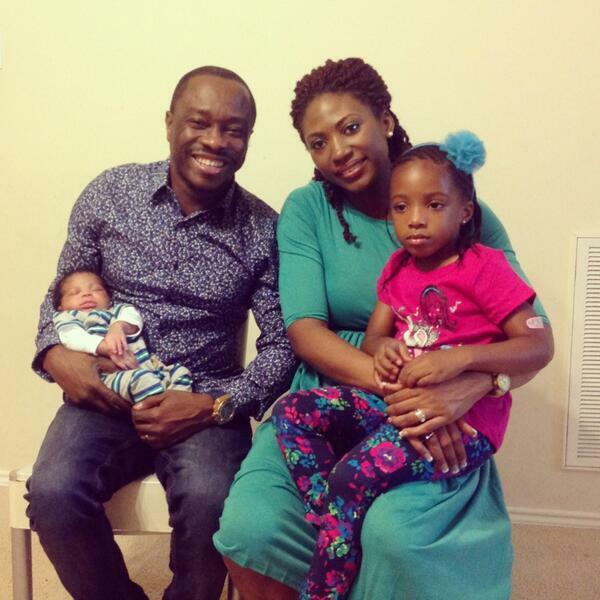 Early Tuesday morning, comedian Julius Agwu whose wife Ibiere welcomed a baby boy in Houston Texas on Oct 7th shared their first ever family photo. The new born baby boy christened Zadok Chibuike is the newest addition to the family. It seems number 7 perfects the family, Julius Agwu was born on the 7th of April, his daughter Zahra was born on Sept 7 while baby Zadok was born on October 7. Since 7 means perfection, this must be a perfect family. Congratulations to you J AGWU. i love u, beautiful wife and lovely children.